Social media is about connections and information, while healthy living is about consistency and knowledge. Combined, social media can bring a lot of useful information and support to people looking to turn their lives around or for those who just want to be a little more conscious about what they eat. Social media is great for health because it provides many innovative ways to stay motivated and well-informed. 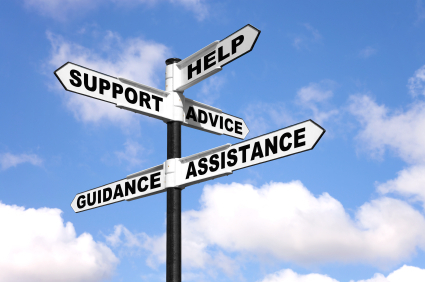 By following tweets from trusted sources you can find information that can help guide and support you. Tweets can offer advice and assist you in getting the health information you need. I follow many amazing people on twitter. Their insights are invaluable and the information they share is extremely useful. Bio: Learn and Live. Stay informed, be inspired or get involved with the American Heart Association. “My Bridge 4 Life is a wellness network designed to help patients, caregivers, supporters and individuals create a personalized wellness plan.” You can read more about My Bridge 4 Life here. These are only some informational sites and tweets that you may find useful. I’ll update you with insightful and valuable tweets in the future. We would love to hear from you. What insightful tweets would you like to share? Who do you recommend to follow? Share your twitter name with us. As always, thank you for your time. I am on the Editorial Advisory Board and Consumer Health Educator for Sharecare. « Fitness: Are you Ready for the 11 Weeks to Move it and Lose it Challenge?